Condo haut de gamme face à l'océan avec patio privé et bain à remous. plus à voir et à explorer, visitez le Lincoln City Visitor and Convention Bureau. L'été 2019 a un minimum de 3 nuits en juillet et août (à moins de combler un vide). S'il vous plaît éviter de quitter "Single Night Gaps" juin-septembre et vacances de printemps. Week-end du Memorial Day et de la fête du Travail 3 nt. Min. 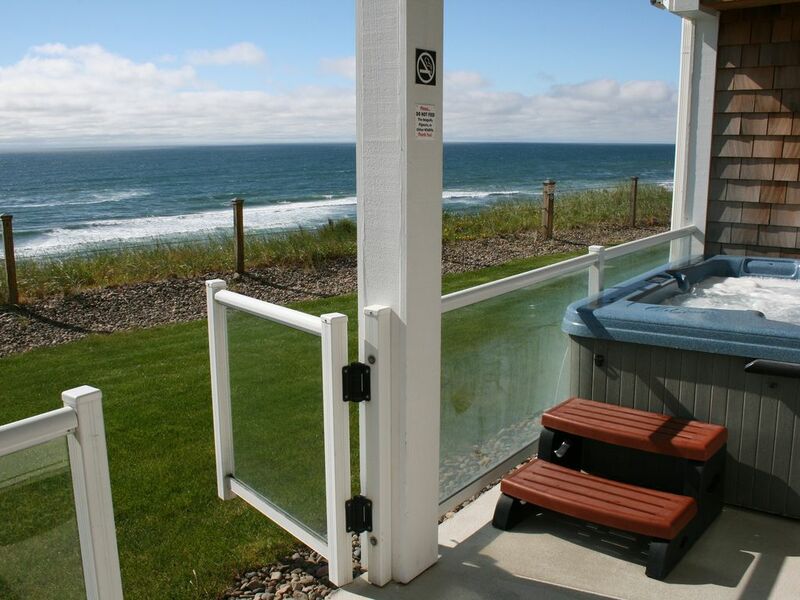 We stayed in a lovely 2 bedroom condo overlooking the Pacific Ocean in Lincoln City Oregon. Unit was clean, well equipped with many amenities. Hot tub was clean and hot. Everything was in working order. Great beach location. Lovely get-away home at the Coast with everything (including a bottle of wine) that you might need. Well stocked kitchen and the large granite topped island was perfect for presenting our meals, using the laptop and gathering around. We loved the floor plan and the master bath was beautiful. We were confused though as to why such an otherwise amazing condo would have two such completely wornout, wornthrough leather chairs when everything else was so nicely appointed. Everyone enjoyed the hot tub and thank you for keeping it hot instead of lukewarm which has been our experience elsewhere, so often. We had the pleasure of being there during the Super Snow Moon and had the amazing delight of seeing the moonbeams dance through the waves. What an experience! All four of us are already making plans for our return. Thank you for sharing this beautiful spot in Oregon Coast paradise. We had a wonderful time. When issues arises they were fixed as soon as reported. First visit at Surf&#x2019;s Up. Enjoyed our visit. Very nice furnishings. Will visit again.